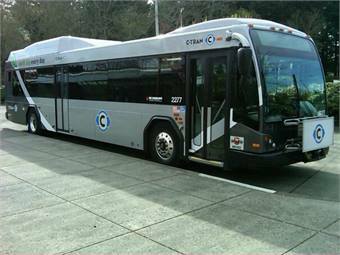 VANCOUVER, Wash. — The Columbian discussed the success of C-Tran’s Travel Training program, which includes travel ambassadors who try to make the service more accessible and less intimidating, particularly for older residents. C-Tran has offered travel training in some form for years, but the agency recently hired Veronica Marti in 2013 to coordinate the program full-time. Marti often meets with riders as an introduction, and then accompanies them on one or more trips, offering guidance along the way. For the full story, click here.